Small businesses are among the most vulnerable to cyberattacks. While we might be used to hearing about big corporations (and even presidential elections) being attacked by cybercriminals, it’s small businesses that suffer the most from threats to data security. “Small businesses, they’re really the ones at risk, you hear about all the big ones, they’re the big names, but small businesses are the ones that are being targeted by things like ransomware and cryptolocker,” says cybersecurity expert Matt Tett speaking to ABC News. Rajeev Dixit, founder of DBS Accountants, agrees. Having dealt with clients who have been locked out of their computers and their data held hostage, he’s seen the effect this has had for small business owners firsthand. “No computer means no business. Even when the ransom was paid, there was no way of knowing if access would be granted, or if any data had been stolen in the process,” he said. So how can small businesses stay secure? How we act online is important for data security. Don’t share data with computers outside of your control. Limit the information employees can access to only the essential, to reduce the risk of someone accidentally releasing confidential information. Use proper passwords. Over 60 per cent of data breaches last year occurred due to weak, default or stolen passwords, the guide reports. 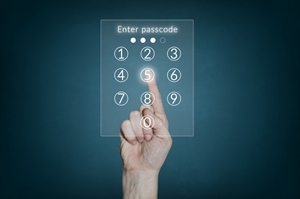 Encourage employees to strengthen their passwords, or better yet, adopt two-step verification. Educate yourself and your employees on online security awareness, even simple things like identifying spam from regular email. Make sure you use security tools available to you, and keep them up to date. Keep personal and work computers separate so one can’t compromise the other. Lastly, make sure your data is backed up regularly so that you can quickly recover from any loss or attack. Managed financial services can reduce risk to data security. Small businesses owners aren’t on their own in fending off cyberattack. This is why Mr Dixit believes in a holistic approach when providing financial services to small businesses in Bankstown, Sydney. To find out more about how DBS Accountants can help improve your business, get in touch with the team today.